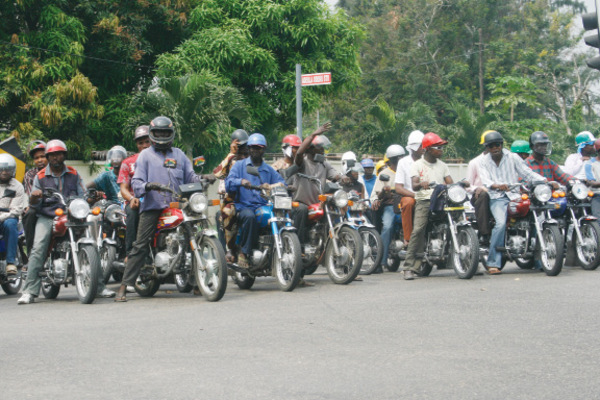 The Lagos state government on Monday stated that it had not banned the operations of motorcycles, popularly known as okadas on Lagos road. The state’s Attorney General and Commissioner for Justice, Ade Ipaye said this in a Federal High Court in Lagos on Monday. He was in the court to make submissions in a suit filed against the government by four different okada riders associations. The suit was filed by four organisations which are: the Trustees of National Commercial Motorcycle and Tricycle Owners and Riders Association; Motorcycle Transport Union of Nigeria; Trustees of All Nigerians Autobike Commercial Owners and Workers Association; and Okada Welfare Association. The Attorney General however stated that they were simply overreacting based on rumours, and that there were no plans to ban their operations. “It has not been alleged anywhere that commercial motor cycles would no longer operate on the roads.” he said. He however stated that since the motorcycles carried people and were commercial businesses, they would have to submit to regulations that govern businesses. “What are imminent are regulations which are facts of life in any business.” he said. “It would therefore not be appropriate in any civilised society for there not to be regulations. The presiding judge, Justice Steven Adah adjourned the case till the 4th of May.